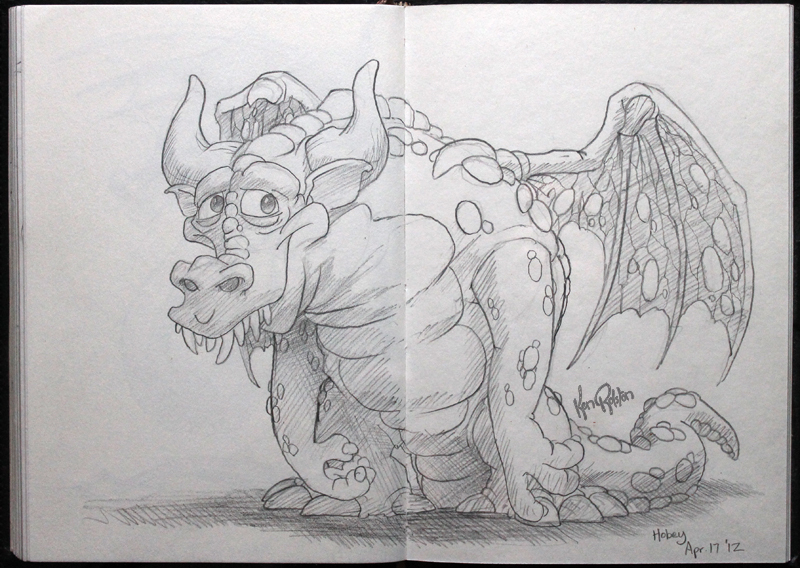 Dragon 322 – Hobey is just the silly looking dragon I was looking for! Lately I’ve been having trouble coming up with my dragons, or at least that’s what I’ve been telling myself. Then I thought about it a bit and realized that there’s a good reason for this. For the longest time I would have been sketching on the skytrain on the way to work. However, while we are in the process of moving our office, I’ve been working from home. Which basically takes about forty minutes of sketching time away each day. Add to the amount of work I have to do lately, and I haven’t had the time to sketch that I have in the past months.